Amherst Village is a perfect example of a late 18th and early 19th century New England town that has transitioned into modern times while retaining its traditional grace and character. Often called the “Williamsburg of Southern New Hampshire,” Amherst’s beautiful village green, colonial-era homes, and majestic shade trees form the center of the town that draws visitors from all over the world. The land on which Amherst sits was granted by the Province of Massachusetts Bay Colony to the soldiers who had served in the Narragansett Indian Wars. These settlers began arriving in the area as early as 1735 and, by 1760, Amherst was incorporated as a town named after General Sir Jeffrey Amherst, Commander-in-Chief of the British armies in North America. As the county seat from 1769-1864, Amherst functioned as the center of law, transportation, agriculture, and commerce for all of southern New Hampshire. Horace Greeley, one of the founders of the Republican Party and a candidate for president in 1872, was born here, and Daniel Webster gave his first speech here as a trial lawyer. Franklin Pierce, 14th president of the United States, was wed to Jane Appleton in the mansion located here on Pierce Lane. After the courts moved to Manchester and Nashua, the town became a quieter place. Today, Amherst is a thriving, friendly town, steeped in the traditions of its history. Residents are proud of their village center, which is listed in the National Register of Historic Places and is protected by a local historic district ordinance. Uncrowded and true to its heritage of historic preservation and diligent planning, this attractive community has handled the accelerated growth of the area with intelligence and style. Strict zoning, excellent schools, fine town services, recreational facilities, and conservation land add to the pleasure of life in Amherst. Also important to the convenience of living in Amherst are the clusters of businesses, most notably along Routes 101 and 101A, which offer their products and services to residents and visitors. Recreational facilities are plentiful in Amherst. There are athletic fields, four golf courses, tennis courts, and an outdoor skating rink. For boating and swimming, residents enjoy Baboosic Lake. There are hiking and cross-country ski trails at Joe English Reservation, as well as at Harding and Plumb Memorial Forests. Joe English Reservation is a 370-acre heavily wooded tract in the northwest corner of Amherst, offering blazed trails, streams, a beaver pond, “lookout rock,” an old cellar hole, and extensive mountain laurel. The walk along the logging road from the end of Brook Road is wheelchair and stroller accessible when the ground is hard and dry. Access points are at the north end of Brook Road and 3/4 mile up Chestnut Hill Road on the left. Hodgeman State Forest, a remote 18-acre parcel between Boston Post Road and Route 122, is a favorite with hikers. Numerous clubs and organizations add to the atmosphere of a strong, family-oriented community. Peacock Players Children’s Theatre and Gymnastics Village are two mainstays of the community with various activities for children. Annual events reflect the character of any community, and this is especially true in Amherst. The “single lighted candle aglow in every window” around the holiday season; the annual lighting of the tree on the Village Green; the September Amherst Antique Show & Sale on the Common; and the midnight tolling of the steeple bell on the Fourth of July — all contribute to the heritage and ongoing spirit of the town of Amherst. Visit the town website for more information about Amherst. Serenity and open space are hallmarks of Brookline, a town of about 2,800 located just to the west of Hollis, along the Massachusetts border. Of the nearly 13,000 acres in town, over 8,000 remain undeveloped. Brookline is a typical “country” New Hampshire town with its small village center, rolling hills with granite outcroppings, and colonial-era homes tucked away among the miles of rural roadways. However typical some might consider it, Brookline proudly claims a noteworthy history all its own. For example, from a town population of only 134 in 1775, 42 men responded to the call to arms at Lexington, Concord, Bunker Hill, and other battles of the Revolutionary War. This is a record that few New Hampshire towns can meet. Brookline was settled in 1741 and incorporated in 1769. It was originally called “Raby,” in honor of one of the English peerages held by the Wentworths, the family that governed the colony for half of the 18th century. It was reincorporated as Brookline in 1798. Essentially, most business enterprises in Brookline have been one-person or family businesses, with the exception of the Fresh Pond Ice Cream Company, at one time the largest icehouse under one roof in the country and employing several hundred men. Of course, this was before the advent of refrigeration. 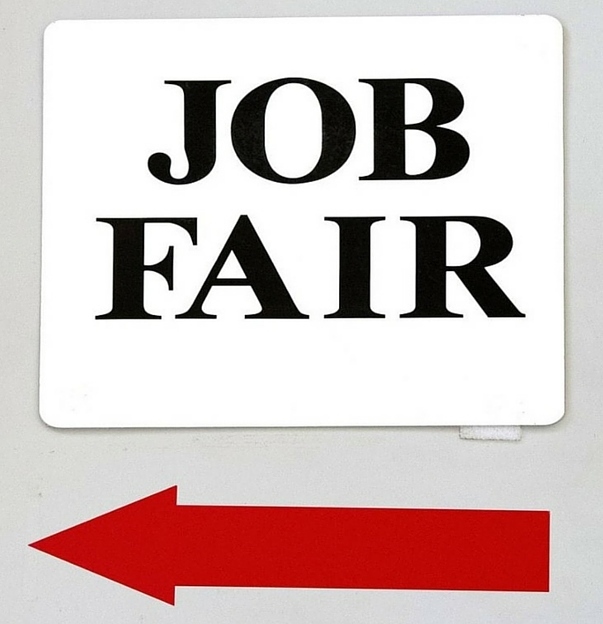 Currently, the largest employers in town are Grant Plastics, Inc., Bingham Lumber, and Hall Manufacturing. Today, Brookline remains a close-knit community. Although located on peaceful country roads, residents and businesses have quick and easy access to Nashua and Massachusetts commercial and cultural centers. The town has its own elementary school (K-6) and older children ride the bus to schools in Hollis. Residents enjoy local natural resources such as the Talbot-Taylor Wildlife Sanctuary, Nissitissit River, Beaver Brook, and Lake Potanipo. 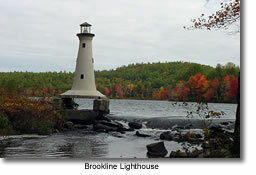 Visit the town website for more information about Brookline. The town of Greenville was separated from Mason and incorporated as a separate town in 1872. The village was known earlier as Mason Harbor, Mason Village, and Souhegan Village. 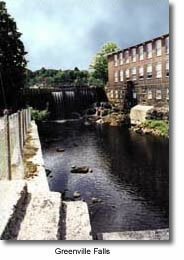 Because of the falls in the Souhegan River, Greenville was always a manufacturing center. The Columbian Manufacturing Company was established in 1826 to make cotton and wool cloth in both Greenville and New Ipswich. Columbian is long gone, but its fine brick buildings still dominate the village, kept company by the well-kept Queen Anne-style houses on side streets. The town offers many conservation, hiking, swimming, boating and fishing areas. 200 acres of land recently donated by the Taft brothers to New Hampshire Fish and Game provide significant frontage on the Souhegan. It is an excellent site for fishing and wildlife observation. Visit the town website for more information about Greenville. The best of small town New England character — historic homes, rolling fields, well-kept orchards, and stately farms – describes the Village of Hollis. A fast-growing community of 6,000 residents, it is located directly west of Nashua, New Hampshire and borders the Massachusetts line. Its convenient access to major highways and the Nashua business hub make it an attractive place to live for professionals, tradespeople, and families alike. Known as “Holles” at the time of its charter in 1746, the village was named after the Duke of Newcastle, Thomas Pelham Holles, Secretary of State of the Colonies. Hollis has always been a vibrant agricultural community, known for its corn, strawberries, dairy and poultry farms, and orchards. More than 2,000 acres remain in active agricultural use and the agrarian nature of the village has been supported by the community. Over the years, the town master plan has reflected an unwavering emphasis to preserve open space and carefully manage residential and commercial growth. A strong interest in preservation is also evidenced by the community support for the Hollis Historic District and the common at Monument Square. More than 100 buildings have been identified as historically significant including the “Always Ready Engine House” and several Georgian and Federal style residences. Due to a conservation-minded community spirit, Hollis’ own backyard is a great recreational resource for the region. Silver Lake offers swimming and the town forest and conservation lands offer equestrian, hiking and cross-country skiing trails that are well maintained. Nearly 2,000 acres in Hollis and neighboring Brookline are owned by Beaver Brook Association, an educational corporation that offers more than 500 natural science programs yearly. It also manages the land and makes it available for hiking, skiing, equestrian activities and more. Hollis is noted for its civic and social volunteerism. 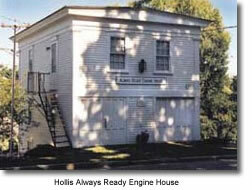 The Hollis Historical Society maintains a local museum and promotes frequent educational programs. The Hollis Women’s Club organizes the Hollis Strawberry Festival and the Hollis Apple Festival which draw people from all over the region. The Colonial Garden Club is responsible for much of the civic landscaping which residents and visitors enjoy. Local churches work hand-in-hand with the community to support events and programs of all kinds. The Hollis Post of the Veterans of Foreign Wars is active in promoting commemorative, historical, and patriotic events. Many residents are active in town government. Education has been a priority for the residents of Hollis over the years. Hollis has a strong kindergarten program and has recently completed the addition of a new middle school and high school. Parent volunteerism is high in school and extracurricular activities, and the Hollis Recreation Commission is busy year round providing opportunities for the town’s youth. Visit the town website for more information about Hollis. One of the smallest of the Souhegan Valley’s townships is the town of Lyndeborough with its open spaces, hilly terrain and breathtaking views. The center of Lyndeborough presents a picture of the past with its handful of clapboarded structures preserved essentially unchanged from their 1840’s appearance. In the 19th century, the Lyndeborough Glass Company was one of New England’s major manufacturers of bottleware. Today, apple growing is becoming a primary industry, encouraged by the town’s favorable high elevations. The town benefits from cooperative arrangements for high schools, rescue services, and solid waste with the Town of Wilton. Favorite hiking areas in Lyndeborough are Curtis Dogwood State Forest, a 14-acre area owned by the state, and Purgatory Falls. Cross country skiing and snowshoeing are popular in The Wapack National Wildlife Refuge. Visit the town website for more information about Lyndeborough. 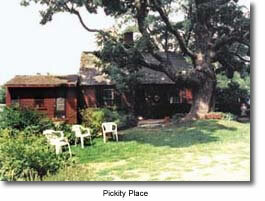 Chartered in 1768, Mason hosts a tiny village green with fine old homes on the Massachusetts border. The inhabitants wanted to name it Sharon, but Governor Bennin Wentworth named it for Captain John Mason, holder of the original grant of New Hampshire from Charles I. Here is located the authentically restored home of Samuel Wilson, affectionately called “Uncle Sam” – the man who became the symbol of our country. Small in population, large in area, Mason abounds in field, forest, and streams, with its Cascades considered one of the most beautiful natural sights to be found in the region. Panoramic views can be enjoyed from several of the high ridges. Mason’s one church is the center of activity, and it continues to serve as the old-time meeting house. Visit the unofficial town website for more information about Mason. Milford serves as the region’s hub of activity, with two major shopping plazas, many convenient retail centers, auto dealerships, fast food chains, other restaurants, a health and fitness center, parks, and the American Stage Festival. But, for all its commercial and industrial activities, Milford still retains an historical small town charm. Union Square is the center and heart of Milford. The original town hall, built in 1870, was recently renovated and listed on the National Register of Historic Places. The downtown area continues to be preserved and improved through grass root initiatives, town support, and the formation of the Milford Downtown Ongoing Improvement Team. Today, the classic oval and bandstand of Union Square are surrounded by small shops and restaurants. During the summer, free concerts are held at the Emerson Park every Wednesday night, drawing residents and visitors downtown to enjoy these reminders of earlier times. Incorporated in 1794, Milford was, at first, a farming town. 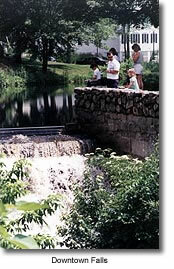 As the Souhegan River was dammed, grist mills and saw mills were built and one of New Hampshire’s earliest textile mills started up in 1810. With the arrival of the railroad in the 1850’s, the granite industry boomed and the population rose to 3,700. 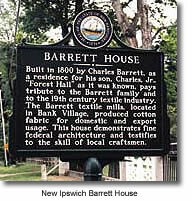 The town became known as the “Granite Town” because its granite was used in the building of New York City skyscrapers and government buildings in Washington, D.C.
Today, opportunity and industry abound as is the traditional spirit of this early New England town. 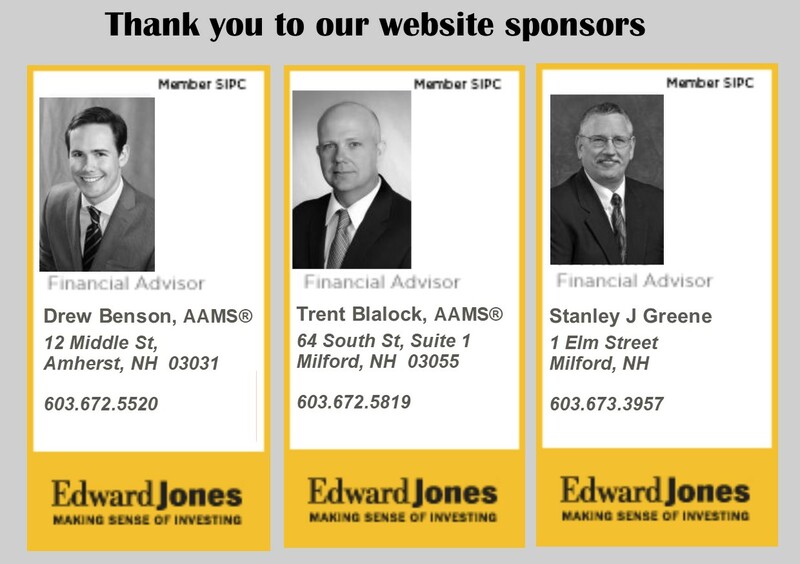 Milford is an important commercial and employment center for the surrounding Souhegan Valley communities. Centrally located at the junction of Route 101 and Route 101A, Milford is home to a number of manufacturing firms including two of the area’s largest employers, Hitchiner Manufacturing Company, Inc. and Hendrix Wire and Cable. Education is a priority for Milford residents. The town is preparing its youth for the 21st century with high speed Internet access and Internet-based instruction in the schools. Its high school graduates can boast SAT scores above state and national averages, and the fact that over 75% of 1996 Milford High School graduates immediately pursued further education. Cultural and recreational activities are plentiful in Milford, which hosts the American Stage Festival, a professional summer stock theater. Community programs, athletic teams, and fraternal, religious, and other community organizations are available for people of all ages to enjoy. Some of the most popular Milford annual events are organized by groups within the community, including the Keyes Art Show, the Pumpkin Festival, the High Hopes Hot Air Balloon Festival, and the Labor Day Parade. Milford also has its share of wonderful natural resources, including the 200-acre Burns Farm and Hitchiner Town Forest with their hiking trails and wildlife habitat. With a wide variety of places to shop, to dine, to work, to reside, and to recreate, Milford is a great example of a convenient yet tradition-rich modern New England town. Visit the town website for more information about Milford. One of the most beautiful small villages in southern New Hampshire, Mont Vernon has remained unspoiled by modern life. 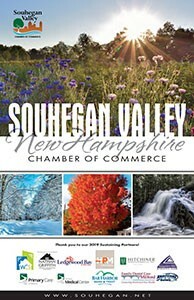 It sits at an elevation of 828 feet and boasts one of the loveliest panoramic views of the New Hampshire countryside. On a clear day, you can glimpse Boston in the distance. Settled in the mid 1700s and known as the Northwest Parish of Amherst, it later separated and was incorporated in 1803 as Mount Vernon. In 1899, the townspeople decided to change the spelling of the name to Mont Vernon “just to be different” and that has remained the official name ever since. In the 1800s, Mont Vernon’s pleasant summer climate and countryside atmosphere drew vacationers from Boston, who came to the quiet town by wagon coach. The little village then boasted of five hotels, a dance pavilion, a golf course, and several boarding houses. Today, the grand hotels have disappeared. Instead, the center of town is the setting for the general store, library, post office, town hall, fire station, Congregational Church, and the Village School which houses grades 1 – 6. Main Street, Route 13, runs through town and is lined with attractive homes of the Federal and Victorian periods. Distinctive new homes located in the outskirts of town are occupied primarily by professionals and business people who travel to work in the nearby cities. The village has a town park, the former Lamson property that is being developed into a recreational park with ball fields and tennis courts. It was willed to the town in 1974 by William Lamson, a descendant of Samuel Lamson, one of the town’s first settlers in 1740. This site is registered on the National Register of Historic Places. Mont Vernon also has three conservation sites that offer fishing, hiking, and picnicking: Herlihy Swamp, Carleton Park, and Horton Pond. Mont Vernon combines the best of both worlds: living just under twenty miles away from Nashua and Manchester, residents enjoy classic small-town ambiance plus the advantages of urban life within easy reach. Mont Vernon has become the ultimate in accessibility and convenience, as well as in comfortable country living. 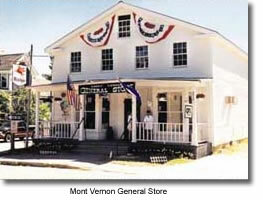 Visit the town website for more information about Mont Vernon. The Commonwealth of Massachusetts in 1736 granted this town to some inhabitants of Ipswich, Massachusetts. 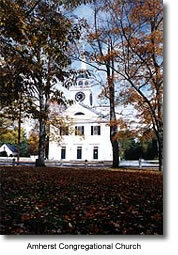 In 1766, New Hampshire chartered the town. New Ipswich men answered Paul Revere’s call to the Battle of Lexington and Concord, but arrived too late to fight. Later the men participated in many battles of the Revolution, including the Battle of Bunker Hill. New Ipswich is now a bedroom community adorned by hills and ponds. The town center along Main Street is on the National Register of Historic Places. Several fine old houses line the street, one of which is the Barrett House, a Federal-style mansion now owned by the Society for The Preservation of New England Antiquities. Windblown Ski Touring Center is one of the main attractions in the area. Visit the town website for more information about New Ipswich. Temple was originally known as Peterborough Slip when first granted in 1750. Temple was incorporated in 1768 in honor of John Temple, lieutenant governor under John Wentworth. Temple was son-in-law to James Bowdoin, for whom Bowdoin College is named. Temple was home to the Temple Glass Works, founded in 1780. The short life of the business makes Temple glass rare and sought after today. The Temple Town Band is the oldest organized town band in the United States. Its first recorded performance was in 1800 for George Washington. Visit the town website for more information about Temple. Wilton is a rural town with orchards, farms, and woodlands. It also is home to the arts. In fact, Wilton is first discovered by many modern visitors when they arrive there to attend a performance of Andy’s Summer Playhouse, a children’s theater that is attracting growing attention throughout the region and beyond. 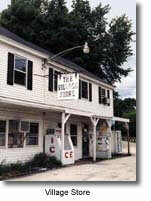 Incorporated in 1762, Wilton has a quiet village center. To the east, on the banks of the Souhegan River, is Wilton’s business district. The river’s abundant water supply powered the town’s early development as a mill center. Today the old mill buildings can still be seen, most in the context of modern times as many were converted for office space and other contemporary commercial and industrial uses. However, visitors can still enjoy the flavor of the 18th century when they visit Frye’s Measure Mill in the original mill center of Wilton. Today, just as in the past, it is a working mill. Shaker and colonial reproductions of firkins and other wooden measuring devices are produced for sale. Not all industry is steeped in the town’s past. Two very modern occupants are Label Art, a label manufacturer, and PVA-EPVA, a greeting card maker. Other major employers include Chalet Susse International which is headquartered here. 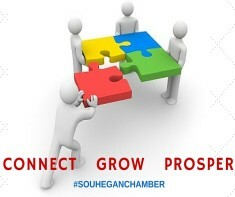 The compact downtown is a regional shopping destination for the smaller surrounding towns and is home to a very active downtown organization, the Wilton Businessmen’s Association. Currently the group is working on continued revitalization of the downtown area which hosts numerous shops, several quaint restaurants, and a wonderful movie theater on the second floor of the Town Hall. The theater has two screens and brings visitors to Wilton with its reputation for showing progressive and lesser-known films. The town’s children can choose from the public elementary school (R-6) and the high school shared with Lyndeborough (7-12) or can attend the private schools located here, High Mowing (9-12) and Pine Hill Waldorf School (nursery-8). Like many of the other towns in the Souhegan Watershed, Wilton has its share of natural resources including lakes and ponds. It also claims Russell-Abbot State Forest off of Captain Clark Road, a protected recreational area; it does not allow motorized vehicles, camp fires or barbecues. Carnival Hill on Whiting Hill Road is a 36-acre area enjoyed by residents for winter recreation. Sheldrick Forest is a 227-acre tract that is now owned by the Nature Conservancy. It is an unusual site because it comes very close to being a true “old growth” forest. The Heald Tract, 558 acres owned by the Society for the Protection of New Hampshire Forests, is a great site for hiking. The Wilton Forest has many small streams, along with the Souhegan River flowing through. Because it is one of the best white pine stands in the area, it is used as a demonstration woodlot by several organizations. The Everett Forest is a 40. 7-acre white pine woodlot abutting the Wilton Forest. 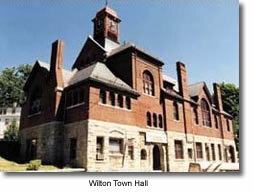 Visit the town website for more information about Wilton.